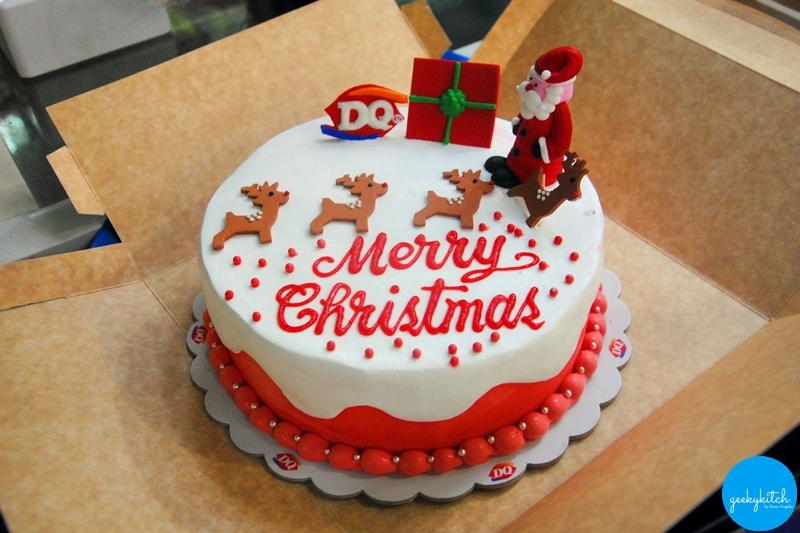 Your favorite Dairy Queen (DQ) soft serve Blizzard, Dilly Bar and Ice Cream Cake gets a splash of Christmas colors! DQ hosted an exclusive Bloggers Party last November 16 at The Oasis (that beautiful open-air floating garden restaurant in the middle of Gateway Mall) to launch their sweet holiday offerings. 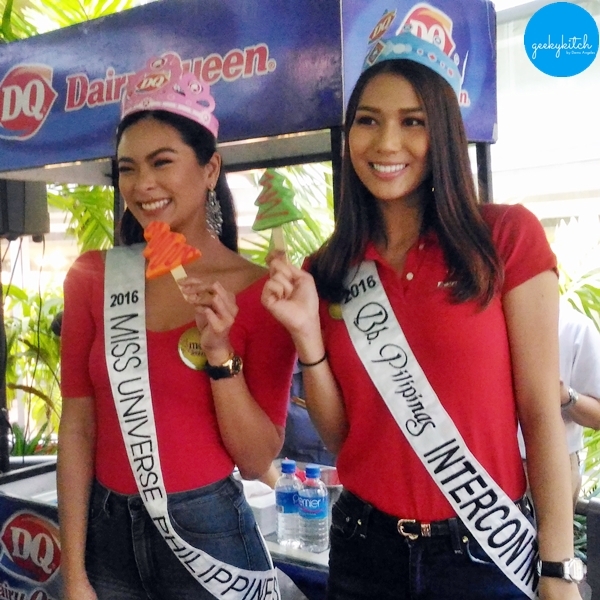 Miss Universe Philippines 2016 Maxine Medina and Binibining Pilipinas Intercontinental 2016 Jennifer Hammond joined in this fun occasion. Yep, we're first dibs on the Blizzard of the Month featuring one of my favorite chocolate brands! 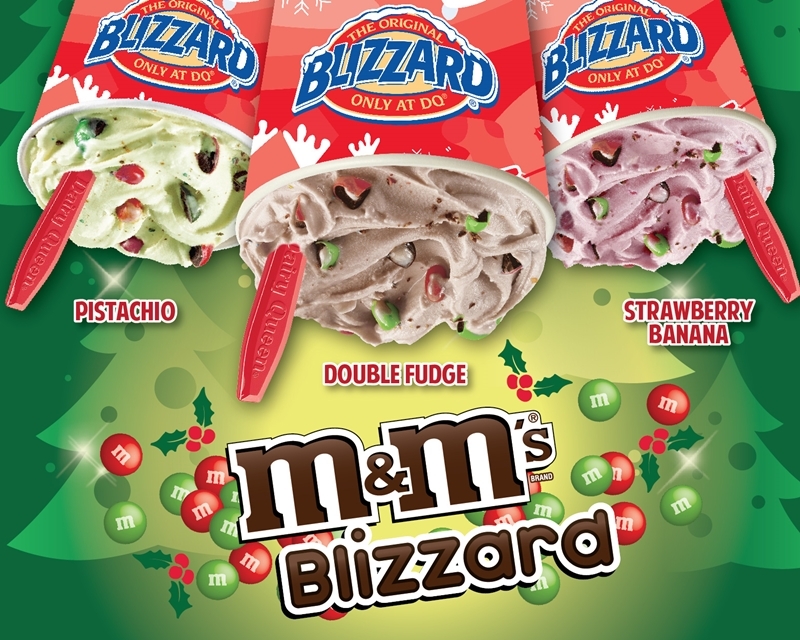 Enjoy a M&M's Blizzard, made with signature DQ soft serve and pieces of M&M's Red and Green, served in Christmas-themed DQ cups! There's the Double Fudge M&M's with swirls of cocoa fudge, Strawberry Banana M&M's mixed with strawberry coating and Pistachio M&M's blended with pistachio coating. All three are available in mini (P59), regular (P79), medium (P99), and large (P119) sizes. The M&M's Blizzard are served upside down (or it's free!) until January 16, 2017 in all participating DQ stores. 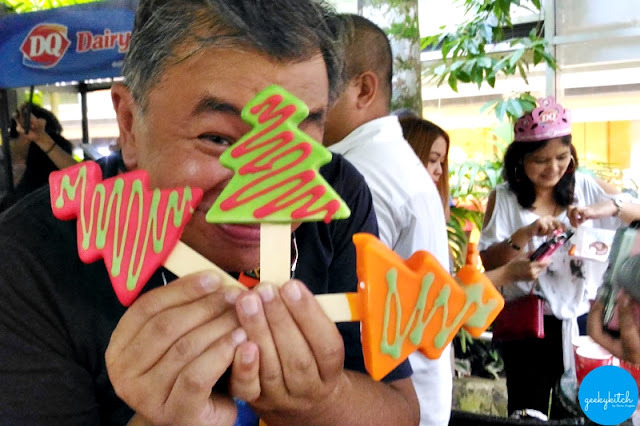 For the month of December, the classic Dilly Bar (P39) now comes in a shape of a Christmas Tree (comes in red, green and orange) plus the Santa Reindeer Ice Cream Cake (P749), the same well-loved vanilla flavored ice cream cake with Christmas-themed toppers! Satisfy your dessert cravings and have fun everydairy at any DQ branch around Araneta Center: Gateway (Level 2 near LRT2, Level 3 Food Express, LRT 2 station Ground level), Ali Mall (Ground floor, Level 2, Skywalk), Smart Araneta Coliseum (Coliseum Circle, Green Gate, Red Gate) and Farmers Plaza (Level 3). Visit www.dairyqueen.com.ph, Facebook, Twitter or Instagram for more information and updates.